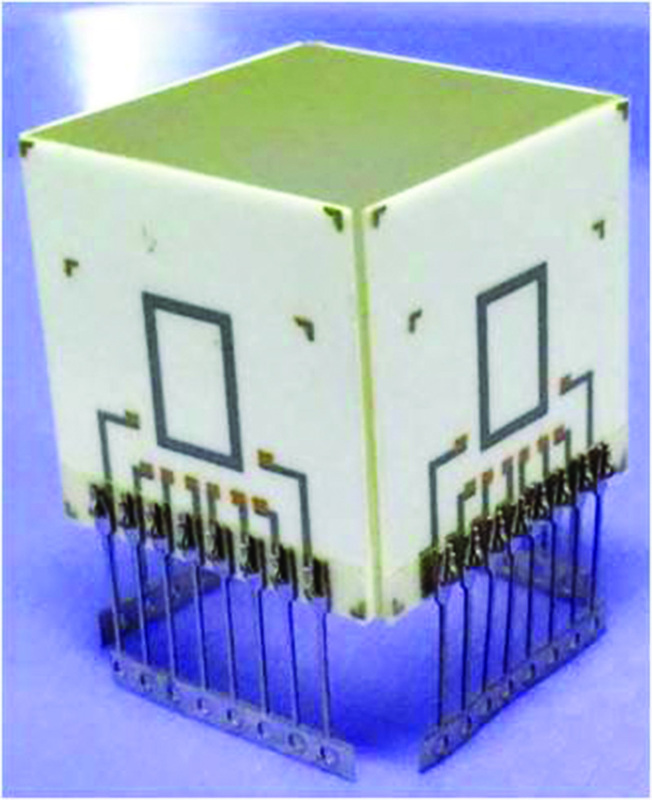 The packaging of 1-axis accelerometer devices to make functional in 3-axis was explored. Package for 3-axis packaging was designed and developed using thick film alumina technology (Fig. 1). The overall size of the developed ceramic base was 1” x 1”. Pd-Ag screen printing was done for die bonding pad, tracks for electrical interconnects and pads for lead attachment. Au screen printing was done for wire bonding pads. The lead attachment was done using reflow soldering process.